The structure of ZnO varistors prepared by different chemical methods was studied by the electronic paramagnetic resonance (EPR) method. The presence of Mn2+ ions in both ZnO lattice and electroconductive phase was used as a sensitive “probe” for the analyses of structural changes which occur during sintering of ZnO varistors. Potential mechanisms which can contribute to the formation of resonant lines were considered. The concentration of paramagnetic centres was quantitatively analysed. The variation of EPR signals of Mn2+ ions in ZnO phase was registered as a function of the chemical methods used for the preparation of powders only when samples were sintered at lower temperatures and non-linear characteristics of varistor ceramics had not yet been reached. 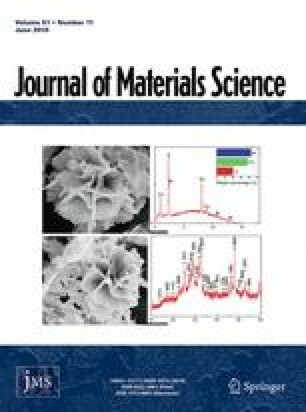 At higher sintering temperatures EPR signals of Mn2+ ions in electroconductive phase differed only in the case of powders obtained by NaOH coprecipitation.